(W) Mark Waid (A) Adam Kubert & Various (CA) Alex Ross. Captain America, Iron Man, Thor, Vision, Spider-Man, Ms. Marvel and Nova are the All-New, All-Different Avengers but can they stay together long enough to be more than a footnote in the teams great history? Maybe not, when the events of STANDOFF pit them against the Uncanny Avengers. Who will prove themselves the mightiest Avengers of all? And things get worse as the mysteries of Pleasant Hill deepen! Then, as the team joins Nova on an intergalactic quest, theyll find themselves in chains on the Stalag of Space! 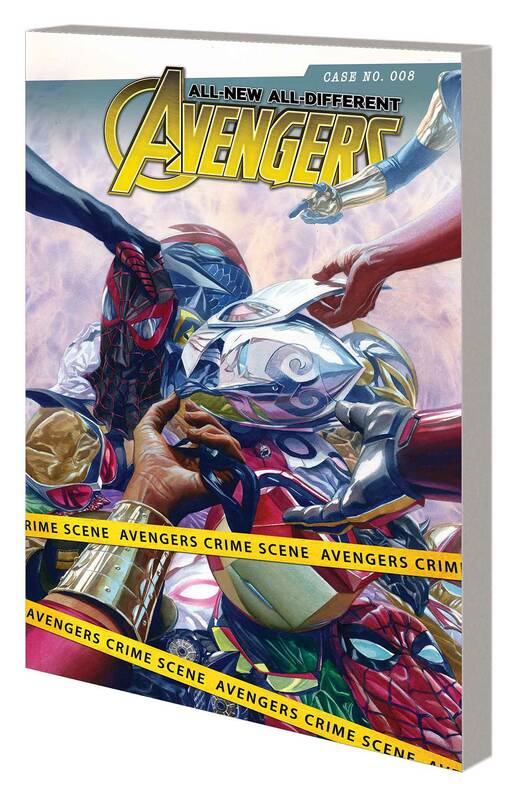 Plus: The Avengers must face someone new with an old name one that goes all the way back to the beginning. Who is the All-Different Wasp? And is she friend or foe? Collecting ALL-NEW, ALL-DIFFERENT AVENGERS #7-12 and material from FREE COMIC BOOK DAY 2016: CIVIL WAR II. Rated T+.